These are actually meant to be 7/8 jeans (i.e. a shorter fit) and they kinda looked like that on the 5'10"" model online but on me they might as well be full-length. Trousers wise, I don't own anything other than a pair of blue jeans and a pair of black work trousers, so these are a welcome, summery addition. Going nicely with the stripey-mint cardy too...couldn't help myself. I loved the fit of these jeans so much I went back and bought a black pair too...at only $30 each I figured you can't go wrong really. Do you ever do that? Find something you love that fits well (which doesn't happen that often) and so can't help buying another one the same or in a different colour?! I do! It's always good finding things that are on end-of-season sale racks. This little merino number was $25 down from $60. I ended up wearing it to WOW with Mum too as I figured it was dressy enough with a fancy coat. Scuse the blurry iPhone self-portrait! This is the ultimate in fun apps I have to say. If you have an iPad you must get it and do it with your kids. And it wasn't even me who found it, I saw Mark and Noah playing with it one night and was most impressed. The possibilities are endless for your kids' imaginations to tell a story with different settings, characters and scenes. I even had a go at making my own version which was fun...although you do find yourself having to think on your feet somewhat once the animation is recording. I just love this quote. I can't remember where I saw it, but it's so good and so apt. 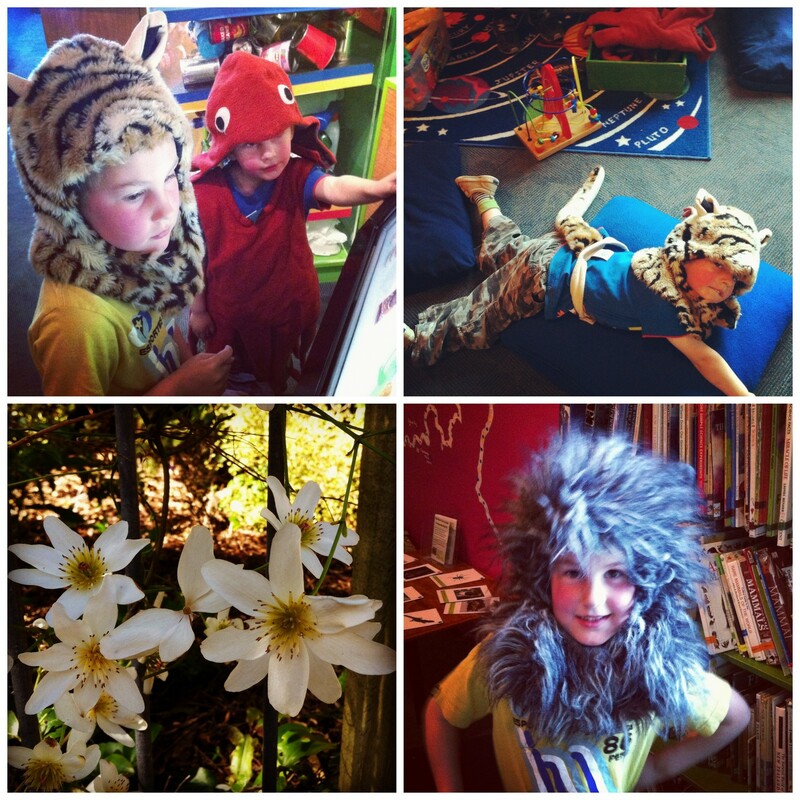 How lucky are we to have such a great place for kids in our city? Not only does it put on great performances like Around the World and Buck Again but there's always hands-on interactive things to do like World of Games this holidays or Alice in Wonderland this time last year. Do you remember Noah having a go at becoming an All Black and scoring a try as well? Yup, all possible at Capital E. After the show last weekend, we popped into The Playground which has had a bit of a revamp since last time we were there. 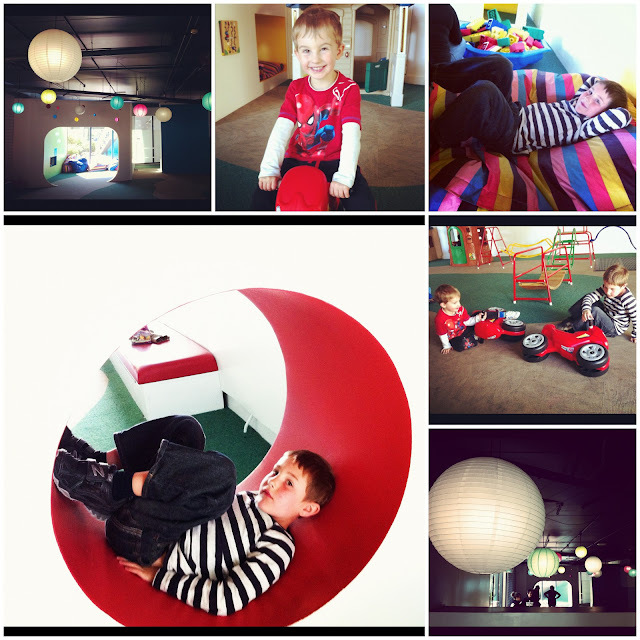 The kids had fun climbing all over the obstacle course, racing bikes and chilling on giant pillows. Great work Capital E! 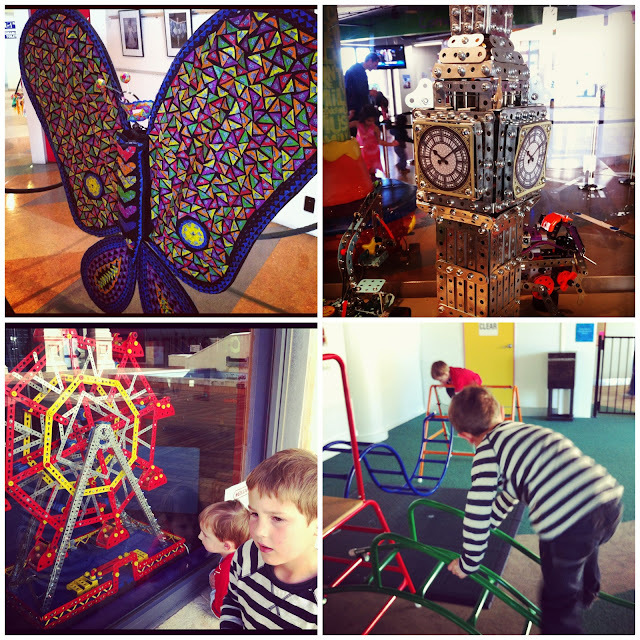 Loving the Meccano London Eye and Big Ben and the butterfly made out of Fruit Burst lolly wrappers! In the same breath, I have to say how lucky are we to have another great place like Te Papa in our city?! You need more than a day to see the whole thing if you're visiitng from out out of town, but we will happily go along for just an hour or so at a time, hanging out in the pebble pit so the boys can get some BIG AIR, and then we usually find ourselves in one of the Discovery Centres playing with gadgets, investigating dress-ups, completing puzzles and just generally having a grand old time. Loving that right now we are in the Naki hanging out with my gran who the kids call Gee Gee (Great Grandma). At 86 years old, she is still managing to live in her own home which I think is nothing short of amazing. She has had a few more health scares this past year or so though, so every time we go to visit it is a precious blessing just to be with her and I know she absolutely loves to spend time doting on her only 2 great-grandchildren. And after yesterday's Trouble Comes in Threes post, I must say I'm feeling pretty lucky just to be here at all! Hope you've all enjoyed the school holidays whatever fun you've been up to! Love your new clothes - the jeans look great on you (I have the same problem with 3/4 length stuff being full length); I've been known to buy the same item in numerous colours - if I find something I really like, it's only right! Love the poem too, very sweet. 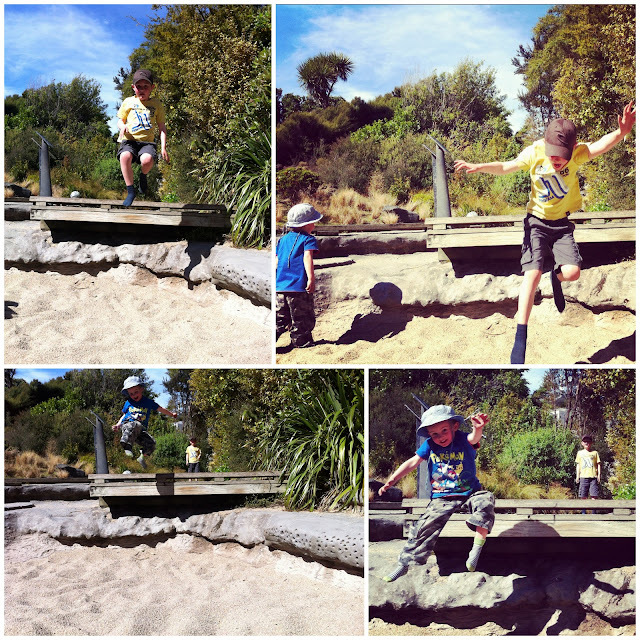 Another great Friday post, we were in Welly recently and my mum took the boy to Capital E, he recognised it in your photos : ) I could easily live in Wellington. Love the new additions to the wardrobe - I look forward to your company at Wardrobe Weds ;-) Love living in a city where there is cool stuff to do. Woohoo, you are such a hottie! LOVE the minty goodness you have going on right now! Also, we have that ipad app. the boys actually saw it first on the school ipads. My granny is around the same age as yours. She is 88 and also still lives in her own home, near my parents and aunt. Every time we go up to visit I feel the same way. having great grand parents is such a privilege. OK, so that was a long comment!! You look amaze in those jeans!! Enjoy the last weekend of the holidays! Love the outfit!!!! You are a hot mama!! I want some jeans the same length and same color.